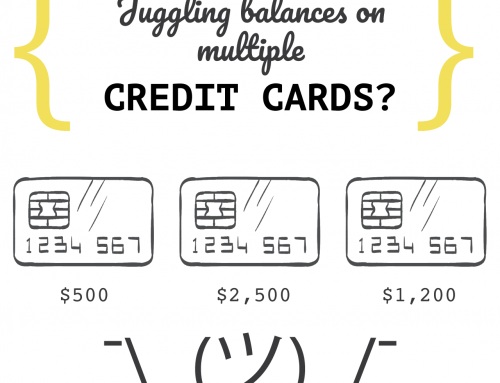 Carrying a balance on your credit card can put you in a sticky situation. Paying all that interest isn’t exactly peanuts, and dealing with credit card bills every month can leave you feeling roasted. You know what’s nuts? We keep spending. Sure, credit card companies are crafty at finding ways to get you to pay with plastic. Reward programs, cash back gifts, and zero balance transfers are all lip smacking offers designed to get into your psyche and entice you to tap credit. It’s time to stop being shell-shocked by these trickster ways. 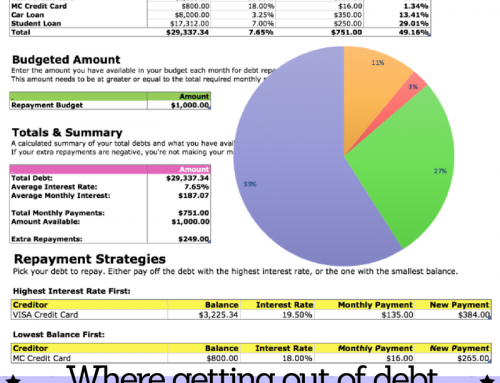 Want to put a lid on your credit card spending? I have a smooth (or crunchy) solution to this gobsmacking problem. Warning: Results may include tasty savings, and a few nuts. 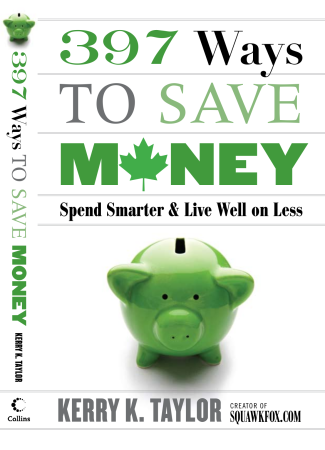 TOTAL COST: This $2 recipe could save you thousands. 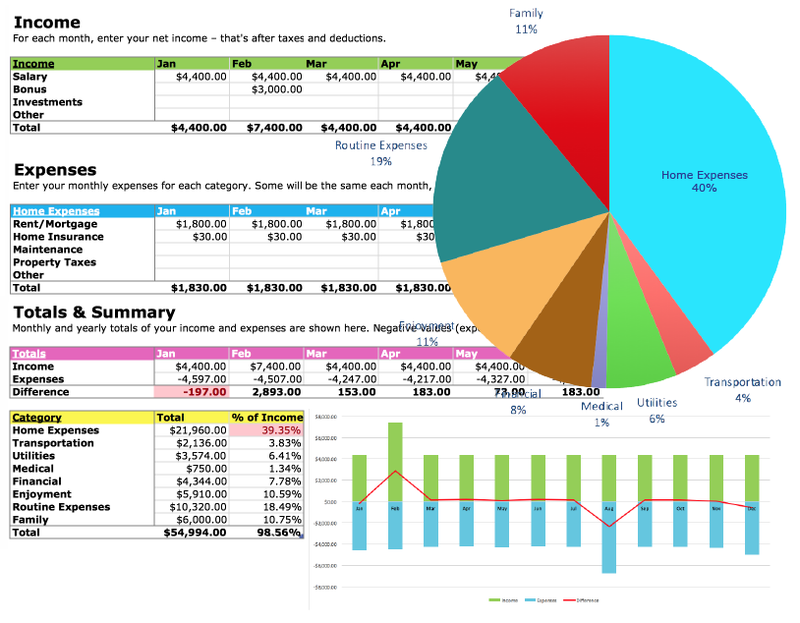 Try my Credit Card Calculator to see how much costly interest you’ll save. 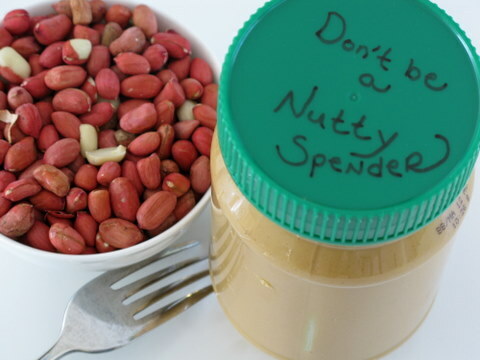 Prevent credit card overspending with this nutty trick. STEP ONE: Be brave. Gather all your credit cards. STEP TWO: Wrap those pieces of plastic in a strong baggie. Seal shut. 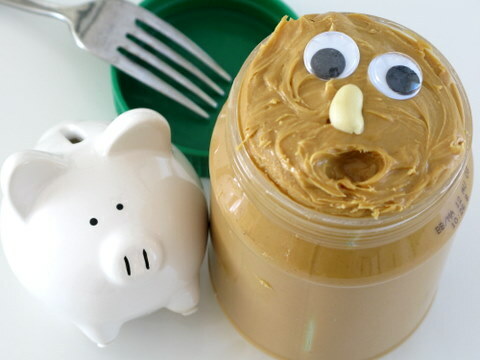 STEP THREE: Submerge that spending mess into a tasty jar of peanut butter. This is hard, I know. 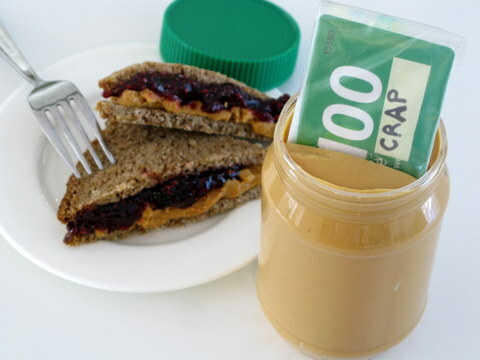 So take a lunch break — munching on a peanut butter and jelly sandwich should do the trick. You can do it! 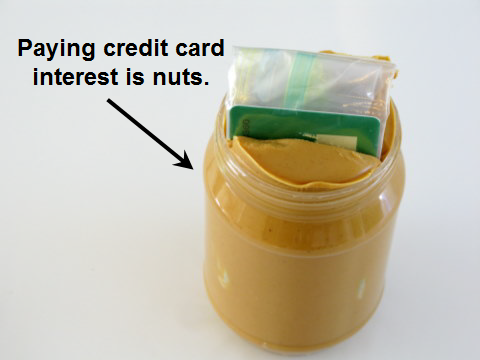 Keep pushing those pesky credit cards deeper into the nutty butter. STEP FOUR: Make a face on top of that expensive mess to ward off temptation. If you open that jar, you’ll see ‘Mr. Sad’ staring back at you. STEP FIVE: Put a lid on it. Twist cap on tight to prevent future spending sprees. STEP SIX: Refrigerate. 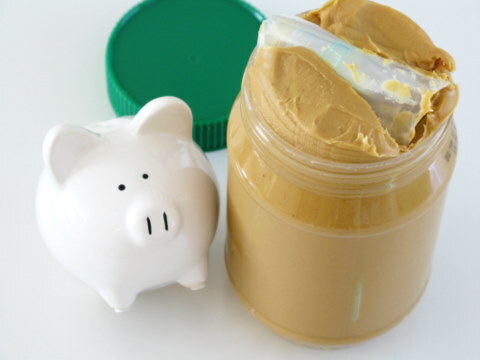 An open jar of natural peanut butter needs to be cooled, along with your credit consumption. 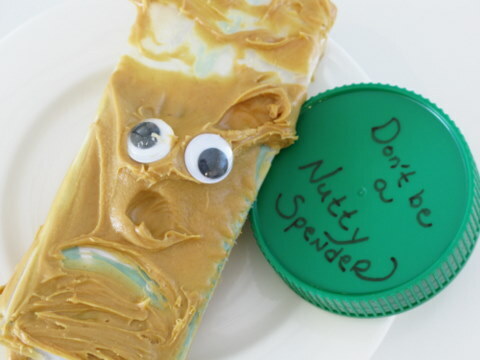 Results will vary, but you’d have to be nuts to retrieve that gooey mess for a costly splurge. Your Turn: How do you curb credit card spending? I’m a big proponent of using credit cards and paying them of every month to earn the rewards. 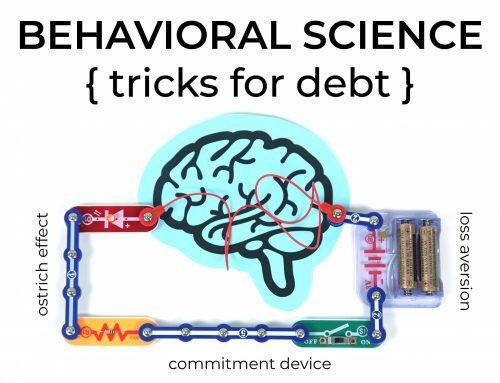 But, this is a hilarious and no doubt effective way for people who have trouble with overspending to get rid of the temptation. Similar to the freezing your credit cards in a bowl of water trick, but with more panache! Bah ha! That face is hilarious! What a fun idea. I cut my cards up and that was that … closed the accounts as soon as the cards were paid off so I wouldn’t be tempted. I did the same with an empty PB jar and ice! Ha ha ha! When I did need a card for a major car repair, I dug thru the freezer, got the jar, and let it thaw overnight. It was there when I needed a card, but otherwise I keep them ON ICE! PB, this is too too funny! 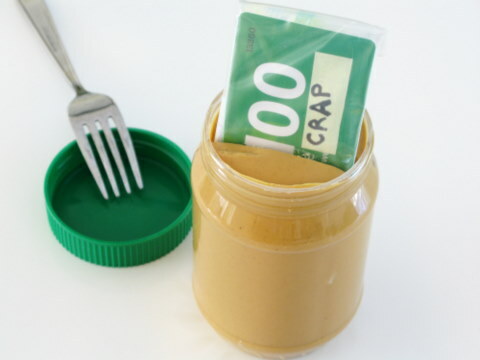 Dollar store PB would save 98 cents – ha ha ha!! I loved the time it took you to stage the photos, collect junk cards, make an additional sandwich with some very serious amounts of jam, make a funny face in the PB! I love it all. A+ for the day! I needed a financial related laugh today. 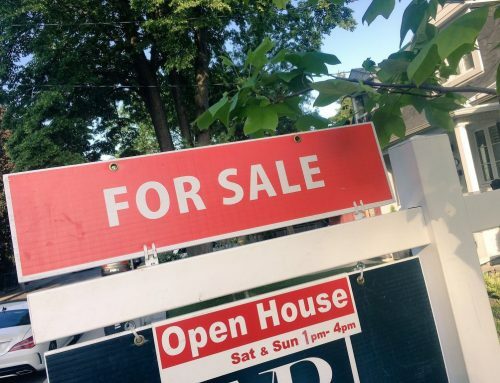 I’m not a fan of closing the cards out, I’ve been told it improves your credit score to have them open (amt of credit avail to you high) while keeping your balance nil. Thanks Kerry. You rock. As always. I use cash as much as possible to stay away from paying too much in my credit card. Great post! 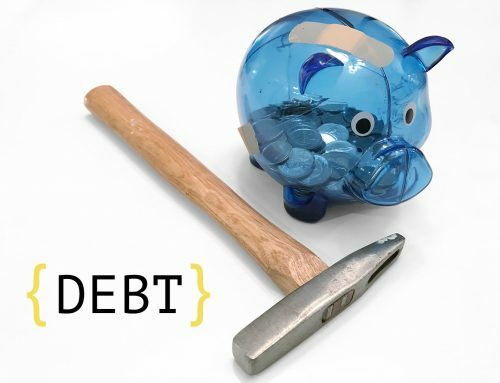 Thankfully my wife and I only have one card we use and it is paid off in full every two weeks, but I wish I had done this when I was younger. I like the method of cutting them up better. One card only, and make it sacred! I got really annoyed when I had to pay a Visa balance for $2.04 once – thank goodness for online banking, so I didn’t have to cut a check and stamp. The comment about keeping the cards on ice is pure genius -not that the PB idea won’t work, but having to wait overnight on a credit card purchase while the ice melts really gives you time to think. We store our card in an empty jar/ice block in the freezer, which we use intermittently for expenses we can immediately pay off. We also use a credit union for banking that gives us cashback for points earned on our debit card, rather than a pesky points credit card system that offers more temptation to outspend than real rewards. FYI that is not “natural” peanut butter. Looks like JIF. We have to start feeling that we are not that rich as much we think we are. I have started paying with cash and shopping with a list so I don’t over spend. HAHA, very punny article! I sort of used a similar tactic to get away from my computer and get out and be active when I was younger, I bought a really uncomfortable chair! I think this is a wonderful idea. I am going to us it as I tend to overboard at times. Thank you. I have tried it. 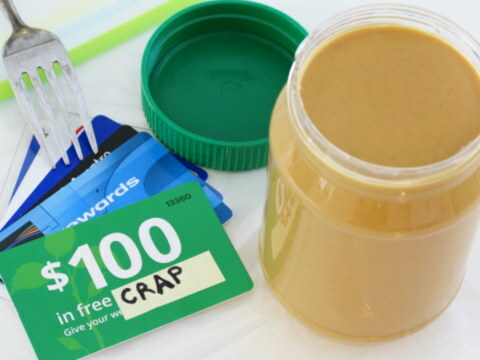 I know that I am not going to dig into that messy peanut butter just to get the credit card! (I hope). Wish me luck. I really need to stop using it for a while. I have not heard of c.c. on ice or this funny idea of c.c. in p.b. I do however keep all my cards with me and active because they serve a purpose which is a financial rescue should something go wrong (like a car being towed etc) I do however write on the card: DNU for Do Not Use or DEBT FREE to remind myself that using it does not lead to be being debt free. Cash is king. Nothing beats it. It’s faster in the checkout and I don’t have to remember its pin. Great idea. I’m going to try it out.